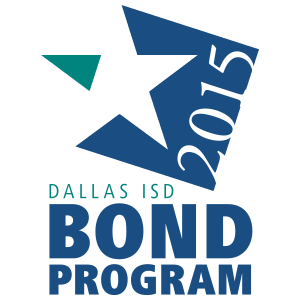 One of Dallas ISD’s southernmost high schools is counting on the 2015 bond program to help address its growing pains. Administrators at Seagoville High School expect 85 teachers and 1,518 students to report to class in August 2017, up from an enrollment of 1,355 in 2016-2017. The anticipated growth has Principal Angela West and her administrative team considering some creative maneuvers to create additional classroom space. Even with 26 portables already on campus, she said offices may have to be repurposed as classrooms, and a few teachers may have to share. West, members of her faculty and parents recently met with representatives of the Construction Services team to brainstorm solutions. Preliminary plans call for the school to receive $21 million in improvements, including the creation of new classrooms planned for completion by the fall of 2020. The meeting yielded a number of other hoped-for improvements, including a new field house/athletic facility, makeovers of the existing classrooms, corridors, cafeteria and administrative offices, lighting and improved security. As a magnet school offering veterinary, environmental and agricultural science programs, Seagoville High not only needs space for students, but also for the pigs, cows, chickens, farm equipment and supplies required for the programs. Advocating for improvements to the school’s livestock barn, parent Rhonda Hill said her daughter Elizabeth and other students are devoted to the Ag program. It lets them raise, care for and show animals, effort that builds pride and helps them compete for college scholarships. “These kids are spending time there instead of getting into trouble. Their focus is on something that will get them into college,” Hill said. Also affecting the campus’ growth is its Pathways to Technology Early College High School offering students the opportunity to graduate with an associate degree and high school diploma in business administration/management, computer information technology or software programming. In spite of the challenges, the school’s staff and community appear to agree that growth is a positive sign indicating that students and families are attracted to its diverse instructional programs. To accommodate that growth, the staff, parents and construction team will work together to create a list of improvements the $21 million in bond funds can pay for. Find more news on the 2015 Bond here.